It's 2015! How was your New Year's Eve/Day? I had the best time spending a couple of days celebrating NYE and my birthday with my husband and some of my best friends down in Atlanta, but I'm happy to be back home with my little bean and focused on a brand new year. After what has been a quiet couple of weeks around the blog (and a couple of intense, nonstop, not-so-quiet weeks in real life), I'm feeling really pumped to get this space active again. For the first post of the year, I wanted to share some of my very favorites from 2014. I chose these specific posts because they were especially fun to create, or because they had the most visits from you guys, or both. I hope you enjoy looking back with me. It was a really, really great year. 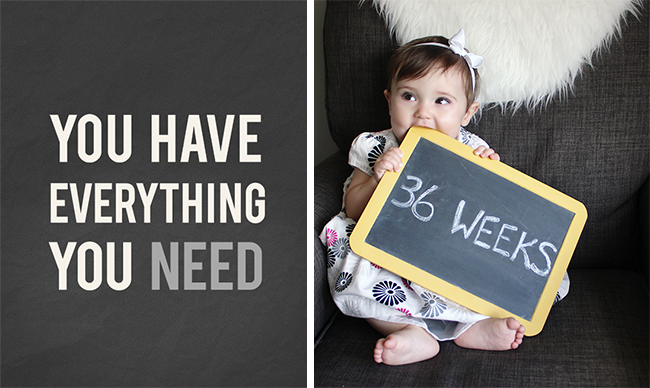 In April, I shared Essley's birth story, which was easily the most intense post I've ever written. 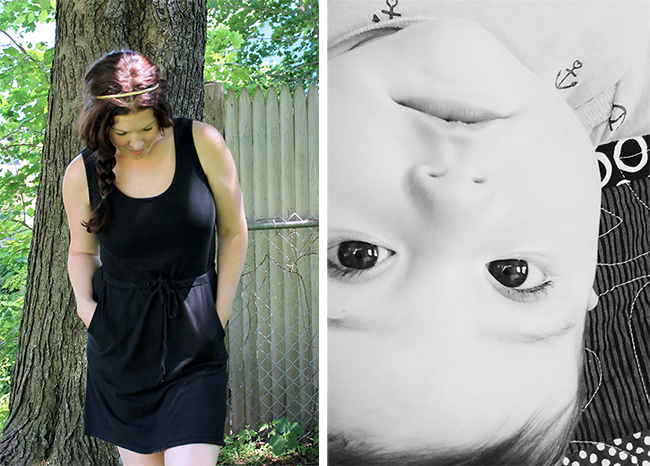 Also in April (yes, it took me until April), I posted my first outfit post since having Essley. This was probably my most worn outfit of 2014 too. 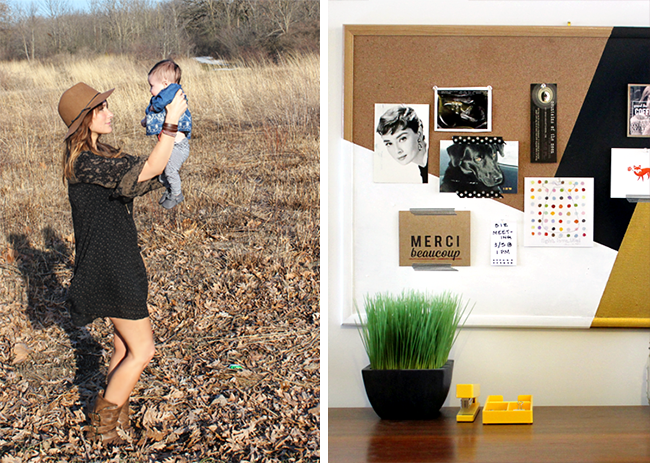 Back in February, I teamed up with ScotchBlue to create this painted bulletin board DIY for my work space. It's still my favorite part of my office. I visited what is now my favorite plant nursery/art space and posted a tour of it on the blog. 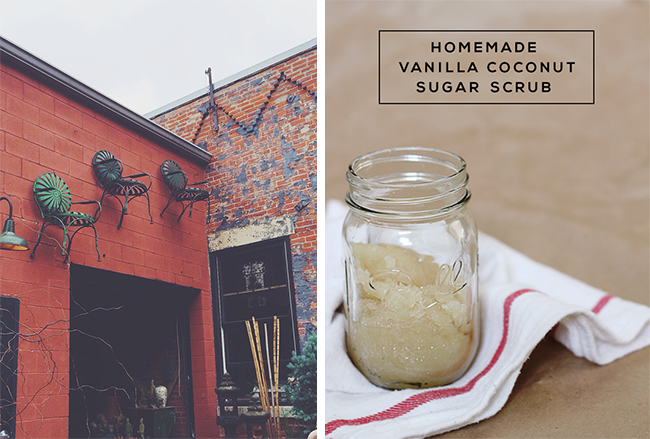 This DIY vanilla coconut scrub that I posted in June is still a daily part of my skin routine. My first month as a mom was intense and amazing. I talked all about it in this post. 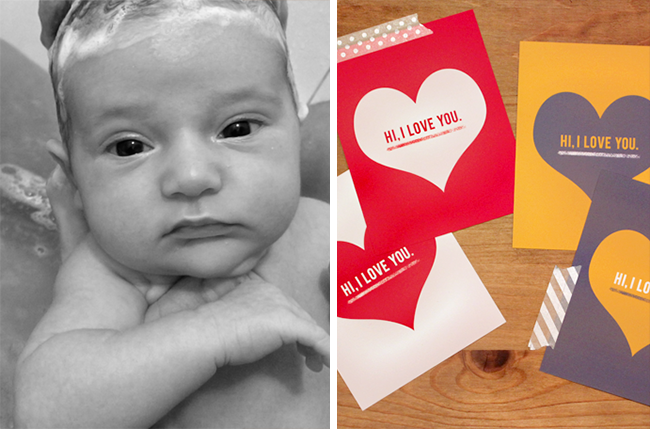 I shared my 10 favorite Valentine's Day DIY projects here. I teamed up with one of my favorite photographers to share this gorgeous photo shoot for a good cause. 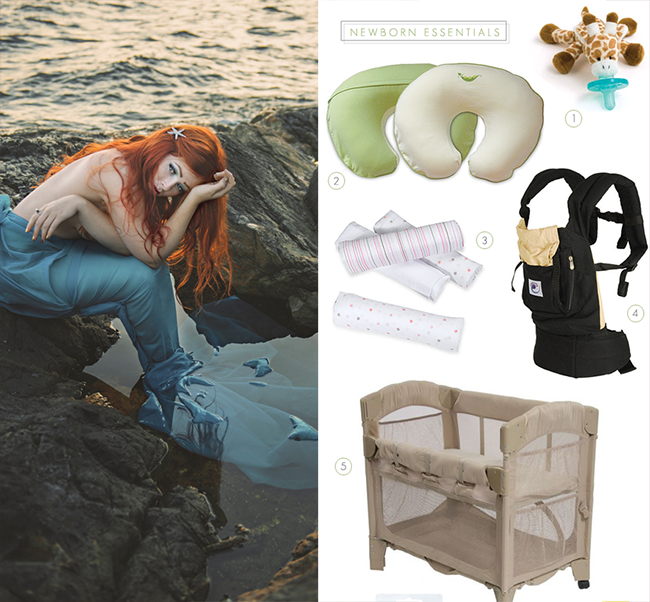 In March, I posted my recommendations/essentials for newborn babies. Essley and I took a trip to Arizona. It was wonderful. I shared it here. 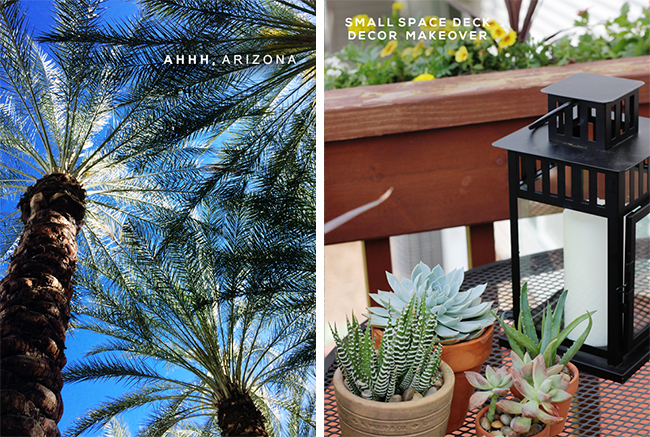 In preparation for summer, I gave our deck an outdoor small space makeover. 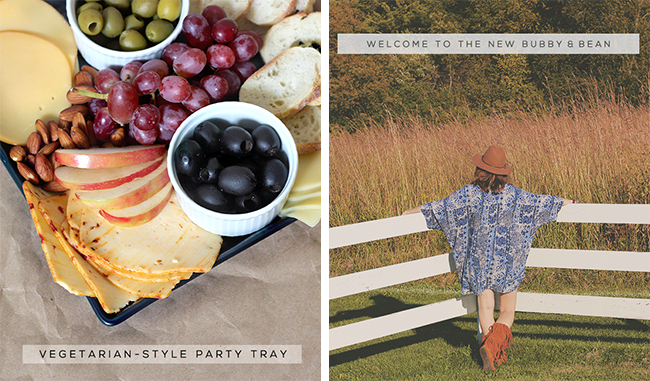 I had fun teaming up with Boar's Head to create a vegetarian style party tray. In October, I introduced the new Bubby and Bean! I loved teaming up with Minnetonka and my dear friend Laura to share the different ways we each wore the same shoe for this 'One Style, Two Ways' post. 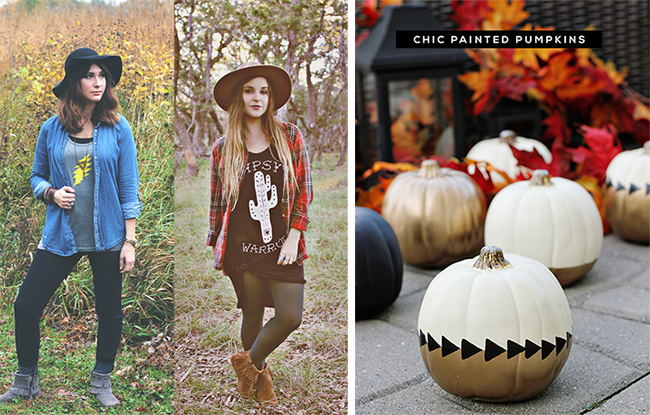 I partnered with Scotchblue again in the fall to create these painted pumpkins. My sister and I worked on it together, and it ended up being one of my favorite projects of the year. We took our first official trip as a family of three up to our favorite lake. 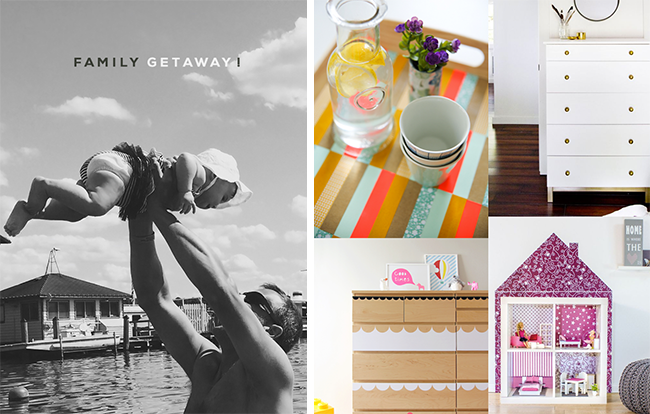 Our Home Contributor Paige shared her favorite IKEA hacks. 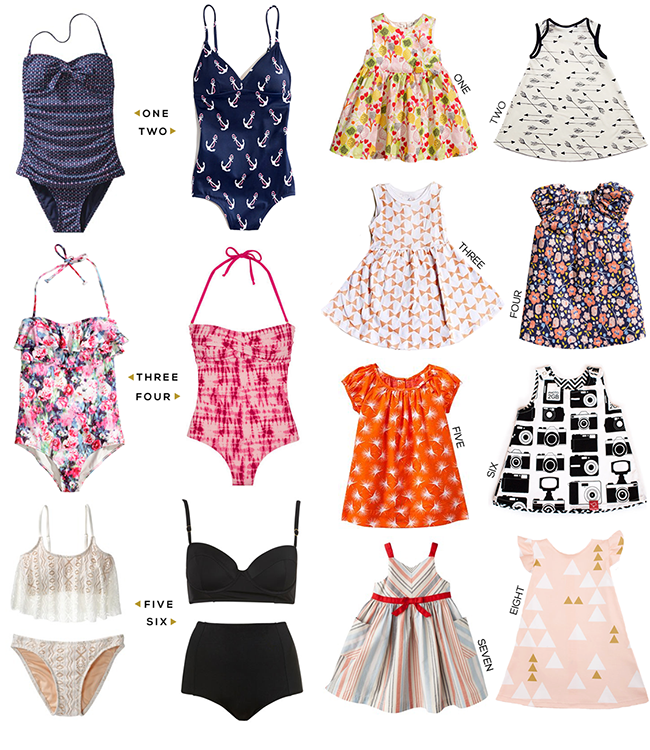 In the early summer, I shared my favorite swimsuits of the year. A few weeks later, I shared my favorite summer baby dresses. 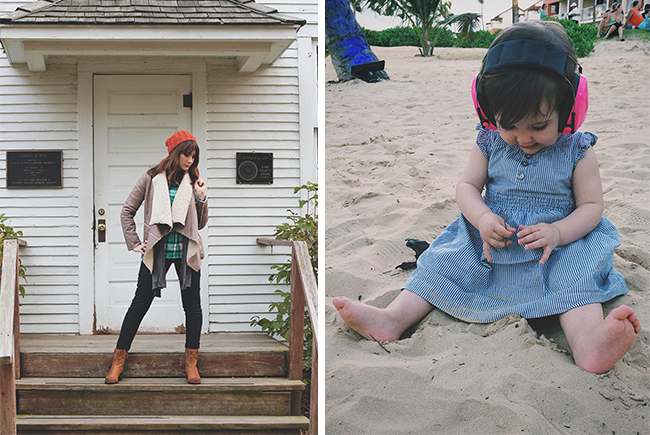 I introduced a new series called 'Hip Mom, Smart Mom, Stylish Mom' with this post featuring my old pal Eva. Essley turned six months. I talked about that, and motherhood, here. I got all sorts of personal in this post about closing my clothing business after 15 years. And again, I got personal, and talked about what I choose to share here on the blog. In September, I posted some shots of my favorite late summer/early fall outfit. 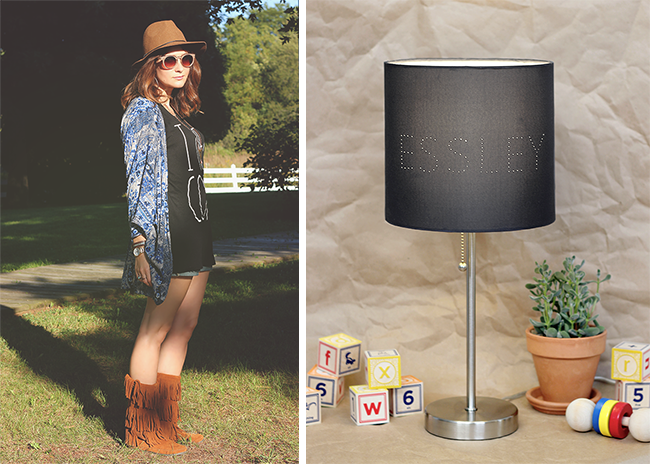 That same month we made a fun DIY lamp shade for Essley's room and shared how to make it on the blog. 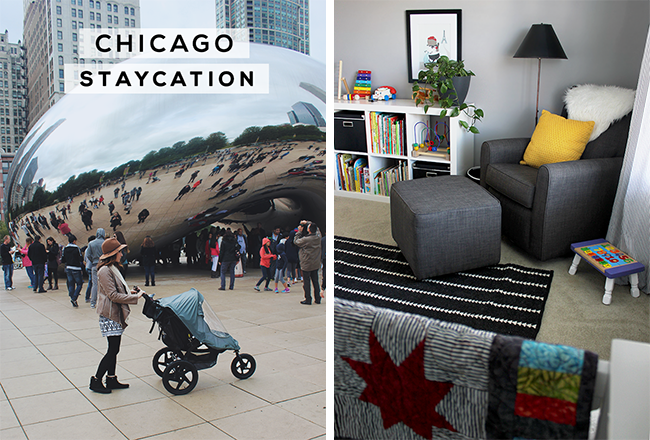 Robbie, Essley, and I took a staycation in our own city. It rocked. I gave a tour of Essley's nursery (that was later featured on Apartment Therapy; yay!). And in December, we went to the Dominican Republic. I talked about our adventures and posted my favorite photos from the trip here. I genuinely can't wait to see what 2015 brings. Happy New Year everybody! I'm glad for the trip down memory lane because I totally forgot about that bulletin board and it was one of my favorite things you did last year! I'm glad my IKEA hacks made the list, too. That's been my favorite contribution so far--which should not surprise you at all. This was so fun to look through and remember and also see a couple posts I missed!! So many of my favorite posts are here! It's fun to be reminded of so many things I enjoyed reading and to be able to go back and look at them again. I agree that it was a great here for your blog! Happy New Year, Melissa! And happy belated birthday, too :) It was so much fun following along with all of your adventures in 2014 and I can't wait to see what 2015 will bring for you and your blog. You had quite a year!! Wishing you all the best in 2015. Your first year of momming looks amazing. More amazing than MY first year of momming, that's for sure! 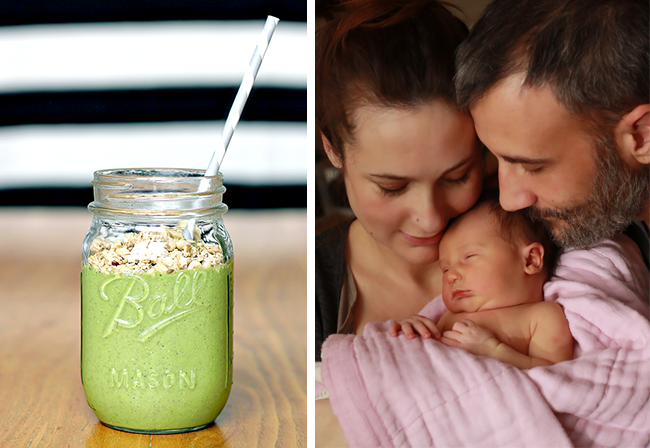 Loved reading about your smoothies...those are all keepers! I always enjoy reading your personal posts! Have a wonderful new year!